The Equal Justice Initiative (EJI) is committed to ending mass incarceration and excessive punishment in the United States, to challenging racial and economic injustice, and to protecting basic human rights for the most vulnerable people in American society. Founded in 1989 by Bryan Stevenson, a widely acclaimed public interest lawyer and best-selling author of Just Mercy, EJI is a private, 501(c)(3) nonprofit organization. We work with communities that have been marginalized by poverty and discouraged by unequal treatment, and we are committed to changing the narrative about race in America. EJI is dedicated to helping the poor, the incarcerated, and the condemned. We provide legal assistance to innocent death row prisoners, confront abuse of the incarcerated and the mentally ill, and aid children prosecuted as adults. 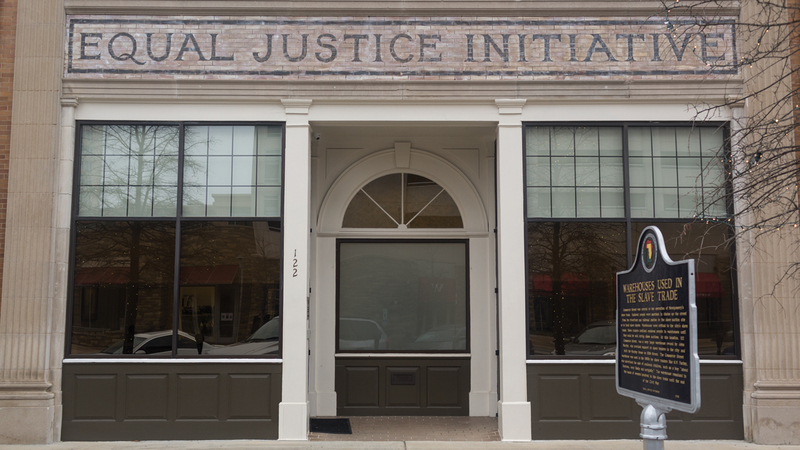 EJI is actively engaged in a campaign to recognize the victims of lynching by collecting soil from lynching sites, erecting historical markers, and creating a national memorial that acknowledges the horrors of racial injustice. Click here to learn more about our Community Remembrance Project. Your contribution is critical to our efforts to challenge poverty and racial injustice, advocate for equal treatment in the criminal justice system, and create hope for marginalized communities. Subscribe to receive news and updates from EJI.